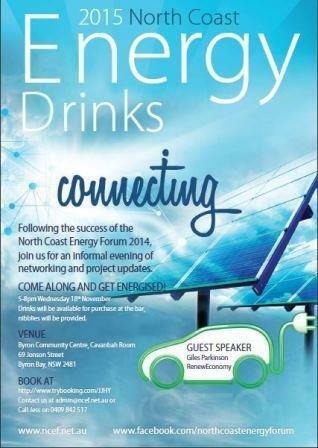 Following on from the success of the North Coast Energy Forum 2014, please join us for an evening of informal networking and project updates. Come along and get energised! Guest speaker - Giles Parkinson, RenewEconomy. Drinks will be available for purchase at the bar, nibblies will be provided.